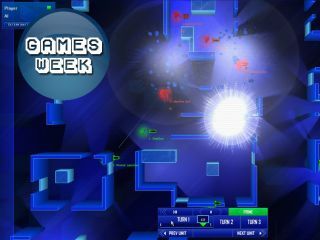 Mode 7's Frozen Synapse: coming later this year for Mac and PC. Paul Taylor is the co-owner of indie game development studio Mode 7 Games. As well as running the business, he also writes music for its titles. His most recent soundtrack accompanies the critically-acclaimed turn-based strategy game Frozen Synapse. "The number one most important tip for any musician is to write and complete a lot of music. Don't just give up when things get tough, or constantly start half-baked ideas: you need to learn how to craft your inspiration into a finished product. Once you've finished some tracks, listen to them a lot and compare them with other commercial offerings: if you want to have a chance, you'll need to be competing with the best that's out there..."
"People will tell you that your music has to stand out, and it does, but the most important thing to get right is the quality. Again, you'll need to listen to some of the other game soundtracks that are out there and figure out how to get your production quality into the stratosphere. "You'll need very good monitoring (I always recommend Mackie HR-824s if you don't have decent monitors), and you'll need to know your way around key mix tools like EQ and compression. Once you have the quality, then you can start experimenting." "Once you've produced some music that you're happy with, you have to get it out there. Make it available for free if you have to - the most important thing is to get people listening to and talking about your music. "Too many musicians neglect marketing: if you have something good then you really need to shout about it to get people to notice. I'd suggest going to some games industry events, particularly some of the newer ones aimed at indie game developers, just to get a bit of a handle on what's going on." "I think one of the key things about a soundtrack is atmosphere: what emotion are you trying to evoke and what are the tools you can use to create that? You're really trying to create audio that will subconsiously influence the player, so you want to take cues from reference points that they will understand. One of the greatest indie game soundtracks of our generation is Machinarium by Tomas Dvorak. It's rare that a soundtrack matches the material so perfectly." "When you're working on commercial projects, you'll almost always be rushed, so when you're getting started working on your own music try to find patterns in what you're doing. If you're always using the same kind of compressor, and the same EQ settings for sub bass, then save them out as presets so you don't have to fiddle around next time. "When you're up against it, it pays to have a lot of very good stock sounds at your disposal - I don't mean rubbish presets here, I'm talking about things you've taken the time to work on previously." "If you're working on a big commercial project, there will be a fairly tight brief that's been organised by the audio director. If it's a smaller indie affair, you'll often be tasked with concepting the music yourself, perhaps with only some very vague guidance by the developers. It's at this point that you need to put your ego aside and really look at the kind of game you're working on. Again, it helps to think a lot about the audience and what they want, then use that as a creative starting point." "Lots of composers are really shy about kit, but I'm not, so here's some things that have really helped me: East West sample libraries, Focusrite Liquid Mix, Native Instruments FM8 and Absynth, Novation V-station, LennarDigital Sylenth 1, PSP Vintage Warmer." "Obviously there will be other sound in the game apart from just your music, so where possible you need to work closely with the audio guys to make sure that you're not competing with them at key moments. At the very least, it's worth talking through what the overall sonic concept is for the game: I think a lot of big-budget games don't really do this enough, and you end up with just a loud grating, full-bandwidth sound throughout the game." "One thing that has been very important for my music in particular is taking elements I really like from different genres and bringing them together. Soaring trance leads and dubstep bass are two things I love, so I've somehow found a way to unite those two disparate things at different points. "Although I've said a lot about trying to make your music approrpriate, you have to do that while keeping your own individuality and forging your own path. There are a million people out there who can do a bad Hans Zimmer impression: that's not what soundtracks are all about. Identify things you love about music and pursue those goals, no matter what anyone says." "It's very, very, very tough to break into writing games soundtracks: I had to start my own indie development company in order to do it! All of the successful freelance games musicians I know are incredibly accomplished people: they either have a specialist niche, like writing music for the Nintendo DS, or wealths of experience. They share one common characteristic: they're total workaholics. "If you have the drive and the work ethic though, that's pretty much all you need: production and composition skills are just a case of practising, and getting work is just a case of persistence. Be honest with yourself about your flaws, but try to be as objective as possible."